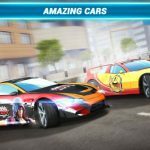 We’ve got yet another racing game for you to check out, and it’s called Rival Gears Racing, which comes to us from ShortRound Games. This is a high-speed action racer where you can race alone or team up with other real players and take part in leagues and events. There are tons of cars to choose from and a rich single-player campaign mode if you’d rather take on AI opponents, but the thrill here, we’d say, is the chance to compete against living, breathing, human-controlled cars through busy city streets. You can make bets and win more money, upgrade your cars, and customize them if you want them to stand out from those of your AI or human opponents. Wonder how you can make more money and bet properly in this game, meaning enjoy the best chances of winning those bets? 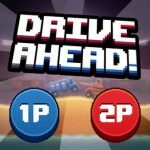 Need some tips in winning more races, and want to know how to enter more races and unlock more content? 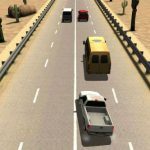 This may be a basic list of Rival Gears Racing tips and tricks, but we promise to answer all of the above questions before you fasten your virtual seat belts and take on the competition on the streets. It may sound like the same old-same old thing you see in these racing games, but you should not ignore the single player campaign mode. With the AI opponents, the stakes are lower, and that should allow you to experiment on what works and what doesn’t work while you’re racing. You can also earn some nice rewards in this mode, including more in-game currency. If you don’t have enough money to make a substantial bet, you can grind it out in single player and earn yourself more cash so you can have enough to place those bets and take on some real players. 2. How Does The Betting System Work? 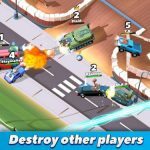 The multiplayer mode of Rival Gears is the lifeblood of the game, as that’s where you can bet, and earn more money accordingly if you win the race. It also doubles as an entry fee, so make sure you’ve got enough on you so you can race in multiplayer as often as possible. You can also set your own bet and create a room of sorts where all you have to do is wait for someone to accept you challenge and race you for the bet you had placed. Likewise, you can take part in races where your opponent has set their price. You should, however, avoid racing when the stakes are too high for comfort. The prizes may be too tempting to pass up on many an occasion, but if your car isn’t up to par, you’ll only be wasting your time, and worse, wasting your currency. The only time you should go for those higher-stakes races is if you’ve upgraded your car to a level where you know you’ve got a solid chance of winning. Otherwise, you may want to keep focusing on the single player campaign. But if you really want to practice with zero stakes involved, there are modes where you can compete against friends, with nothing at stake, meaning you keep your money either way. In such a relaxed environment, you’ve got all the leeway you need to experiment on different shifting or driving techniques. But as an aside, you’ve also got an option to team up with friends and compete against other human teams. Like in the above tip, this is best done if you’ve upgraded your car sufficiently, with the same applying to your friends. Each of the cars in the game have their own specific attributes and stats, and it’s imperative that you make it a point to upgrade your car whenever yo can afford it. Try to make your car as balanced as possible, and bear in mind that upgrades can progressively become more expensive. You can also customize the appearance of your car, but these are cosmetic changes that should not be prioritized at the expense of part upgrades, which are the upgrades that can really make the difference between victory and defeat. Winning races in Rival Gears will build up your reputation, while losing them will hurt it. Losing too many races will prohibit you from entering some races until your reputation has been built up with more wins – if this happens, we suggest taking a break from the game, as it’s easy to let frustration take you over and affect your concentration and performance. After that, take on easier opponents so you can build up your reputation again, and do so quickly. Reputation basically allows you to unlock more content, so make sure you don’t let it drop too low! There you have it. This would be our quick guide for Rival Gears Racing. In case you know additional tips or tricks for the game, be sure to leave us a message in the comment section!